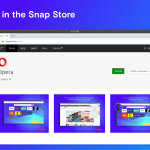 Today we have a new Opera Developer update for you guys. If you have missed bookmarks or bookmarklets, you can start playing with the Quick Access Bar now. 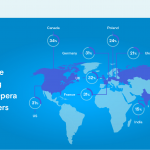 Enable the bar in opera:flags, and then enable the feature in opera:settings under “User Interface”. Now you can drag and drop pages to the Quick Access Bar for easy access, or add new pages by simply pressing the plus button. Right clicking allows you to add folders, remove entries etc. This is the first iteration; QAB will be further developed in future releases to allow nicknames, and search through bookmarks by keywords from the addressbar. Note: Right-click to manage QAB is not yet implemented on Windows. The Quick Access Bar is built upon the newly-implemented Bookmarks API, so you can get extensions to interact with it. For example, you can download a bookmarks menu extension and then disable the QAB from the interface to save space. Amongst the others we are still working on Search Engines manager and Themes installations. Synchronization lacks servers so it’s not for testing yet. Bunch of polishing on existing features and crash fixes.